Very Good. No Jacket. 8vo-over 7¼-9¼" tall Reprint. Octavo paperback. 255 pp. Very Good condition. No inscriptions. Good. No Jacket. 8vo-over 7¼-9¼" tall Reprint. Octavo paperback. 255 pp. Good condition. Previous owner's inscription on half title. No dust jacket. Very good. Translation into English. Very Good. 0099428644 COVER DIFFERS TO PICTURE. Joseph K. is an average man. He's actually quite boring - most of his time is spent at the bank where he works, where he dreams of future promotions. Imagine his surprise, when one morning, he is arrested in his apartment! The men who've come for him don't know what he's done, but no one else does either. He's arrested, but he gets to keep going to work and going about his regular business. Its all very strange. 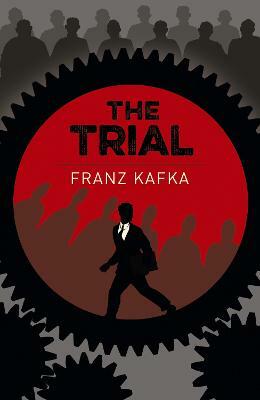 As he learns more about the strange workings of the courts, he realizes he's in more trouble than he'd thought. Everybody seems to be a part of the court, but nobody knows how the courts work. And certainly, no one knows what he's been arrested for, or how he can help himself. Unfortunately, he's already been assumed as guilty by the court, leaving his attempts quite futile.